Tasmanian-owned telco Launtel yesterday switched on Australia’s first ‘Gigabit city’ and is offering fibre-to-the-premise (FttP) connectivity to that will enable gigabit speeds at commercially viable rates. Launtel director Damian Ivereigh said he was confident that gigabit services in Launceston can attract more companies and employment to Tasmania. He cited US city Chattanooga where a gigabit economy had led to wage growth in line with capital city levels and young people returning to the city as more companies roll into town. He believes Tasmania can achieve similar results. Launtel is providing gigabit connections to any business with a 'pure fibre' NBN connection, claimed to be 10 times faster than the former maximum and 100 times faster than the national average. The telco also claimed its low contention rates enable a file to be downloaded faster from the cloud than a USB stick. Launceston and Hobart were Australia’s first cities to be turned on to the original pure fibre network of FttP. 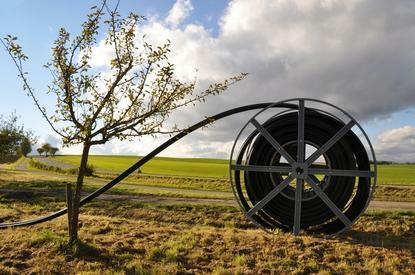 Political decisions saw the rollout change for parts of Tasmania and almost all the Australian mainland to be fibre-to-the-node (FttN), Launtel said. Launceston joins several cities that now have the world’s fastest internet including Amsterdam, Barcelona, Hyderabad, Moscow, Singapore and Toronto. Launtel said Launceston will be leading traditional megacities such as Los Angeles, London, Tokyo, Paris, and New York. “With speeds that match the world’s fastest countries such as Singapore, Hong Kong, and Japan, Launceston businesses can expand by trading with the world. Fast communications will facilitate business with any of the developed countries without having to leave home,” said Ivereigh. “For instance, gigabit speeds will allow a local business to control robots overseas through virtual reality,” he said. “Australian business has been held back by internet speeds that are still playing catch-up. The Akamai State of the Internet report ranks Australia 67th for fixed line internet speeds, behind countries such as Kenya and Latvia. Only 76 per cent of Australians have speeds above 4Mb/s – we will be delivering 1000Mb/s,” he said.